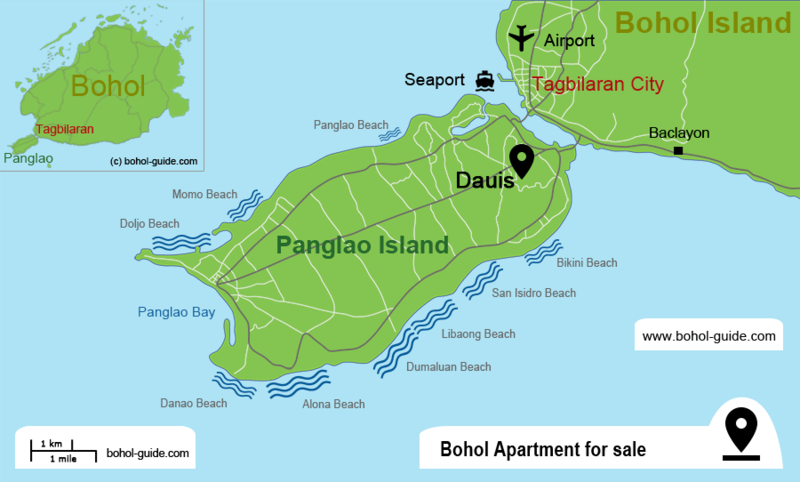 Bohol Apartment House in Panglao near Tagbilaran for sale. 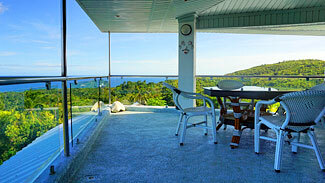 This luxury 130 sqm apartment is located in Dauis, Panglao on top of a hill. 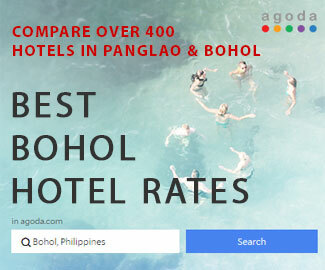 The location is unique and probably the most beautiful on the island of Panglao. Breathtaking panoramic view over the ocean with the islands of Camiguin, Pamilacan and Cebu. Overlooking Bohol with the capital Tagbilaran City. Built with the best local materials such as granite, marble, mahogany, solid wood, aluminum and granite or ceramic tiles. Modern and quiet split-type air conditioning. High-quality aluminum sliding glass doors with sliding mosquito grid. Stainless steel balcony railings with glass elements. One bedroom has a sea view from the bed. Connected with a sliding door to the balcony. Bathroom is built in noble marble. Granite sink on a mahogany base cabinet. The good as new, high quality Apartment is within a guarded resort. Resort facilities such as swimming pool and tropical garden may be used. Very quiet location, no traffic noise. Few minutes by car to the capital Tagbilaran City with big Malls and hospitals.The next store is only 500 meters away. 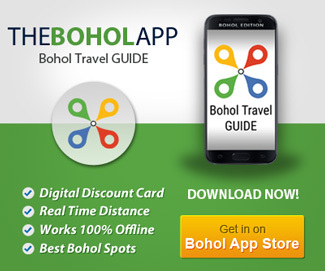 Near to the most → beautiful beaches in Panglao – Bohol. To this stunning Panglao white beach is only about 10 minutes drive.